In February, the Government Accountability Office welcomed the incoming Congress with its 2015 high-risk list of poor performing federal programs—an unlimited gift card for some, a messy glitter bomb for others. I read the report. Well, OK, I skimmed it and focused on the sections of most interest. Federal real property is at the top if the list for me. The trend I noticed over and over again were the low scores on demonstrating progress. Immediately I wondered—are agencies not making actual progress or is it a communication issue? There is no objective, observable way to know. So, I suspect it’s somewhere in the middle—performance measure purgatory. Performance measures are incredibly fragile and yet they endure year after year—even when they’re not precisely what we want to measure. They are almost always confusing or misleading and ripe for manipulation. Despite the challenges we all have in working with performance measures, they are what we have right now to quantify our impact. Unfortunately, we never get as much accomplished as we’d like. We have to explain ourselves at every turn, justify the budget, make up for delays, motivate staff, and on top of it all—measure our performance. Federal programs are no different. Our persistence in trying to figure out the right measurements is rooted in our common beliefs that we work hard, are passionate about our programs, and are always looking for ways to get more done. No matter what program is under evaluation, managers and examiners struggle to boil all of this nuance and culture and circumstance down to a handful of figures that accurately tell their story. It’s not an insurmountable problem, but it is an issue rooted in the structure of agency organizations. Federal real property is a prime example. Human capital is another. Facilities functions are often subgroups within a larger division. As a general rule, facilities staff do not have a standing role in the strategic decisions of their agency, but consume a significant portion of the budget or operation costs—often second only to the labor itself. This disconnect is a problem. Spreading accountability across a wide target means no one is really on the hook. Further, with these broad programs, managers struggle to tie the detailed measures that are meaningful to facilities and human resources folks to the broader agency mission. Something is always lost in translation and these problems revert to a reactive, defensive mode. Agencies should take a look at their performance measures with an eye toward connecting their impact to the broader agency or administration priority or public need. The key to starting these conversations is looking at the current set of performance measures, finding alignment those broader goals, then translating these for greater connection, integration and effectiveness. There are a lot of good reasons to seek greater impact for broad federal programs—even outside of those on GAO’s bad list. High impact programs enjoy higher employee morale, more effective mission support, greater opportunities for staff advancement, and stronger, more sustainable and resilient programs. Going back to the example of federal real property, managers must document what is important to them. That may be lot of things. On any given day, facilities staff in the field are making sure systems are up and running, routes into the building are clear, everyone knows where they’re supposed to be and are responding quickly to any calls that come in. At the program level, managers are concerned about planning for new construction and rehabilitation, making sure the agency has sufficient, suitable space for program, and that the workforce is as efficient as possible with resources. Common performance measures used by federal real property managers include the Facility Condition Index, mission dependency, annual operating costs and so on. In addition to these metrics, federal real property managers talk lot about system performance, increasing complexity, emergency preparedness, data, staff turnover and finding talent, and reducing our footprint. In stark contrast, let’s take a look at what the directors, secretaries, and the Office of Management and Budget care about. The senior leadership is looking at overall mission risk, public perception, technology, gaining fiscal advantage by winning support in Congress and the administration, and positioning the mission to support national and global challenges. There are some common themes, but a lot that are different. This disconnect is at the heart the challenge facing program managers—for federal real property and for a host of other broad programs on GAO’s list. How do they bridge the gap between these different priorities to demonstrate progress and, in turn, get more support and recognition and maybe even an open invitation to be a part of the strategic direction of the agency? If you were to examine these two different priority lists side by side, you would start to see some “bridging metrics.” This term captures the idea that federal program managers can and should still measure what is important to them. But when they take that message outside of their offices or respond to an inquiry from GAO, the performance measures must be translated to reflect issues our leadership cares most about. Getting push back on performance measures from an agency leader or external examiner of is the result of that person understanding the numbers but them failing to see the connection with the bigger picture. Inventory current performance measures. My guess is that you’ll be shocked to see what people are tracking on a monthly, quarterly, and annual basis. It’s always a lot. At the same time, document the top issues for your agency, as well as, any previous findings from past GAO or OMB reports or other audits. Plan a series of strategic conversations with the right staff—agency heads, OMB advocates, or other senior staff. 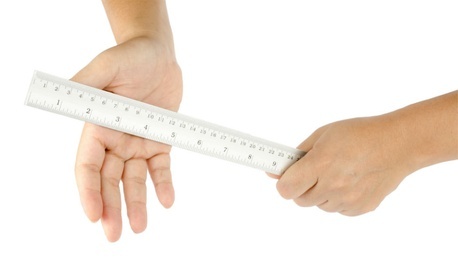 Seek alignment by using bridging metrics. With a calendar loaded with strategic conversations, program managers can demonstrate a the connection to the broader mission, get input on the tweaks to the measures, and gather input on whether or not there is additional data that might be available or relevant to combine. Jump in. The alignment taking place through the first four steps will certainly uncover new activities and opportunities for advancing the program. The trick then is just delivering on those refined expectations. When planning strategic conversations with colleagues both within and outside the agency, you are elevating the perception of your program every time you make a thoughtful contribution to someone else’s top issue and offer a connection between program goals that had not yet been considered. As you do this, you can be creative about possible cross-division partnerships and figure out how you want the program to come across and what are the lingering impressions you want to make. Robin Camarote is the founder of Craft and Atlas, a federal management consulting firm. See more at her blog goviepop.